to service the dam strengthening market throughout the US and Canada. 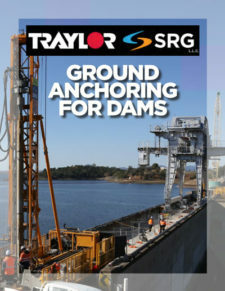 For more information on Traylor Bros., Inc. and SRG Limited, please visit www.traylor.com and www.srglimited.com.au. To learn more about Traylor SRG, LLC and our dam strengthening service, please view our company and service information PDF. Have a question or comment? Please use the form below to contact us and we will get back with you as soon as possible.